No visit with you is complete without gelato, without a trip to Grom. 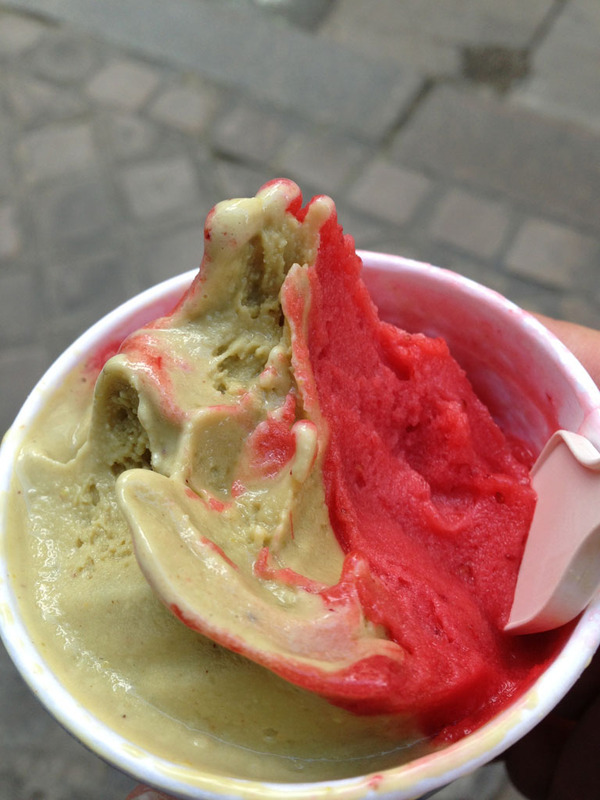 Despite visiting Italy twice some 13 years ago, I became insanely addicted to gelato on my first trip to Buenos Aires. Insanely addicted. 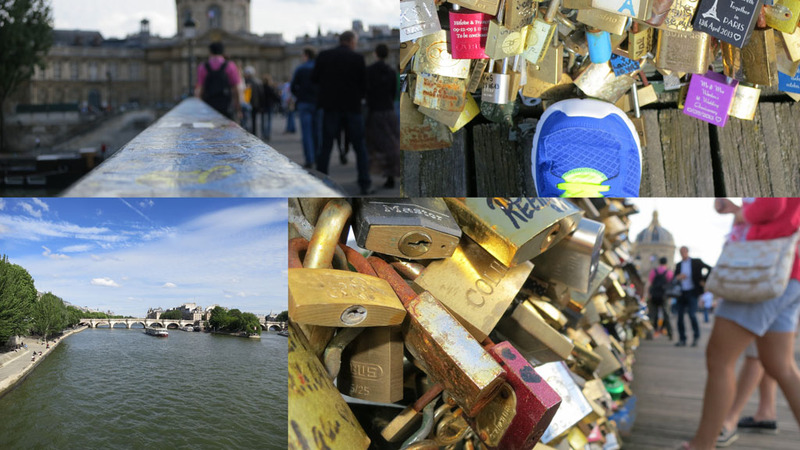 There’s a certain anticipation that builds up on the walk to Grom, as I cross the padlock covered Pont des Arts, as I cross over and look out at the Seine, as I get closer and see the street sign, “Rue de Seine” and finally the blue and white banner of Grom in the distance. And so I indulge. I order from a menu written in Italian. Moyen. Pistacchio. Fragola. My first spoonful is simply the taste of cold pistachio. My second is pure strawberry. No walk is too long for a gelato this good.